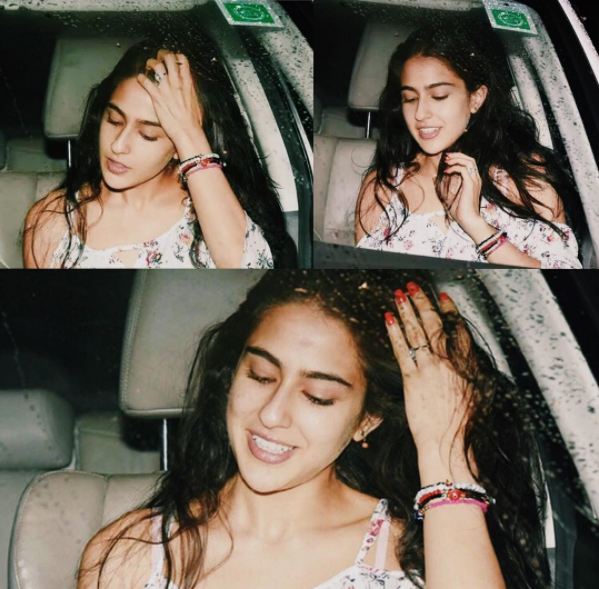 23-year-old Sara Ali Khan, daughter of Saif Ali Khan and his ex-wife Amrita Singh, is all set to make her Bollywood debut by the end of 2017. She has been cast into Abhishek Kapoor’s next- Kedarnath which will also star Sushant Singh Rajput. It seems mother Amrita Singh is all supporting her but father Saif doesn’t quite approve of it. the stage with Salman and other actors, Sara was standing behind the stage curtain and looking at us. I knew then that she wanted this for herself. Being on stage and people shouting her name,” he said. Saif Ali Khan also said that he always has advice for her and they talk about films a lot together- “I am there if she needs to ask or talk to me about anything. I know what she is doing and we talk about films just like we do about everything else." She should always be an actor Saif! After all, the family lineage is such! Father and mother are actors, grandmother Sharmila Tagore was a great actress and of course Soha Ali Khan.